Our annual holiday sale has begun. From now until December 19th, there's no worldwide shipping and handling on anything plus you get a free shirt with every order of $50 or more. Just put which shirt and size you'd like in the notes section during the checkout process. If you forget, don't worry...we'll email you for this information. Offer expires Monday, December 19th at 12AM New York. Gibson GuitarTown on The Sunset Strip, administered by the Gibson Foundation, is completing its yearlong "tour" of the boulevard and has announced the art guitars will be auctioned for charity on Dec. 3, 2011, at Julien's Auctions Beverly Hills Gallery (9665 Wilshire Blvd.) beginning at 2 p.m. The auction will also be accessible online at www.julienslive.com. Proceeds from the auction will benefit the Los Angeles Youth Network, which provides outreach, food, emergency shelter, transitional living and educational enrichment programs for homeless adolescents; West Hollywood Arts & Cultural Commission to further support public art and artists on The Sunset Strip; and the West Hollywood Library. GuitarTown on The Sunset Strip is a larger-than-life public art exhibit celebrating the people and places that have shaped the legendary music boulevard. More than 20 ten-foot Gibson art guitars have lined the 1.6-mile boulevard since August 2010. The guitars celebrated various aspects of The Sunset Strip and its history and influence, from guitars honoring Slash, The Doors, Mötley Crüe, Ozzy Osbourne, Brian Wilson and Cheech & Chong to abstract guitars that played upon the architecture and nightlife of the boulevard. The guitars were displayed in prominent and historic locations on The Sunset Strip, including the Whisky a Go Go, The Roxy Theatre, The Comedy Store, Andaz hotel (former "Riot Hyatt") and at the main entrances to The Sunset Strip. A handful of the guitars were also signed by the influential musicians they were inspired by. "We enjoyed hosting GuitarTown on The Sunset Strip this year. The guitars celebrated the boulevard's history while also giving local artists the opportunity to showcase their talents in a one-of-a-kind setting," noted Sunset Strip Business Association Executive Director Todd Steadman. "The art guitars added to The Sunset Strip experience, and we are pleased that the proceeds from the GuitarTown charity auction will benefit and inspire countless individuals in the Los Angeles area and beyond." • "Prince Of Darkness" celebrating Ozzy Osbourne. Created by Nic Adams. Guitar signed by Ozzy Osbourne and Slash. • "Dr. Feelgood" celebrates iconic Sunset Strip rockers and 2011 Sunset Strip Music Festival honorees Mötley Crüe. Created by Timothy Teruo Watters. Guitar signed by Tommy Lee, Mick Mars, Nikki Sixx and Vince Neil. 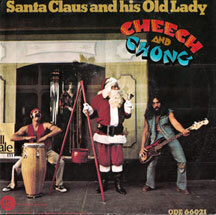 • "Post Cheech & Chong" is a celebration of the comedy duo who got their start at The Roxy Theatre. Guitar signed by Cheech Marin and Tommy Chong. • "Slash Guitar" celebrates the legendary guitarist and 2010 Sunset Strip Music Festival honoree. Created by Ron English. Guitar signed by Slash and Ron English. • "Good Time Tonite" celebrates Peter Frampton. Created by Anne Olsen Daub. Guitar signed by Peter Frampton. • "Good Vibrations" celebrates Southern California icon Brian Wilson. Created by Lauren Evans. Guitar signed by Brian Wilson. • "Rosas" is a portrait of one of the most famous Sunset Strip girl bands: The Runaways. Created by Sonia Lopez-Chavez. Guitar signed by Cheri Curie. • "Mickey's Garden" is an homage to the notorious Mickey Cohen. Created by Mark Mahoney. Guitar signed by tattoo artist Mark Mahoney. • "Timescape" abstract guitar created by compiling images and references to infamous Sunset Strip music legends. Created by Mads Anderson. • "Jimi Rocks" painted guitar celebrating guitarist Jimi Hendrix. Created by Bruce Bermudez. • "Star Chords" tribute to Lou Adler, Mario Maglieri and Elmer Valentine, who were instrumental in creating the live music scene on The Sunset Strip with the creation of the Roxy Theatre, Whisky A Go-Go and Rainbow. Created by Jodi Bohassi. • "Light My Fire" mosaic tiled guitar honoring The Doors. Created by Robin Bott. • "Star Struck" mixed media guitar that plays upon The Sunset Strip's ties to celebrity and creativity. Created by David "Rudy" Gardner. • "The Conscious Mind" utilizes surreal imagery to reflect on the mind and the visual landscape inspired by music. Created by Elizabeth Merrit Kong. • "Candy Stripe" is a jewel-encrusted guitar celebrating Katy Perry. Created by Erin Lareau. • "Summer Of Love" is a colorful, bejeweled guitar honoring the ‘60s. Created by Juliana Martinez. • "Path of Most Resistance" examines the built environment on The Strip. Created by art collective Opus 13. • "The Mystic Knights of Oingo Boingo" is a playful, interactive work celebrating Oingo Boingo. Created by John Ottinger. • "Crusin: Sunset Strip" is a sleek, colorful abstract resin work mimicking the nighttime landscape of The Sunset Strip. Created by R. Nelson Parrish. • "Making Headlines" is a painted visual compilation of past newspaper headlines from The Sunset Strip and Gibson. Created by Leilani Yosick and Dan Calandro. • "Dressed To Kill" celebrates Kiss. Created by James Rutman. • "Mystical Musicians" abstract guitar that reflects on the creative process. Created by Jon Planas. • "Ad Lib" montage reflects the diverse styles of music that exist on The Sunset Strip. Created by Stephanie Pryor. • "Trigger Happy Jack" uses bold imagery to celebrate the elixir of nightlife. Created by design firm Signature Creative. Food Network stars Rachael Ray and Guy Fieri are hosting a new Celebrity Apprentice-like cooking show which puts eight (mostly) throwback celebs in one kitchen. The show is called Rachael vs. Guy Celebrity Cook-Off, and it premieres January 1 at 9 p.m. ET/PT. Lucky contestants include 90's pop stars Aaron Carter (who is now sporting a goatee) and Joey Fatone (still sporting his goatee), as well as Coolio, Cheech Marin, and Miss USA 2011 Alyssa Campanella. Ray and Fieri will coach the budding chefs, who are "divided into ‘Team Rachael’ and ‘Team Guy,' [and] each episode features celebrity contestants battling it out in a fun, fast-paced culinary fight-to-the-finish," according to a press release. The winner gets $50,000 for the charity of their choice. We're expecting a couple of tantrums and cut fingers, since the trailer features some contestants falling to the floor. Also notable: Coolio claims he's "the ghetto gourmet, baby," Joey Fatone says, "Dessertalicious," and for some odd reason there's a piñata. CBS' new Rob Schneider comedy, ¡Rob!, will debut Jan. 12 at 8:30 p.m., the network announced as part of a pair of midseason premiere dates Monday. ¡Rob!, which stars Schneider as a lifelong bachelor who marries into a tight-knit Mexican family, will take over Rules of Engagement's timeslot; CBS said Rules would return sometime later in the season. ¡Rob! also stars Cheech Marin, Claudia Bassols, Diana Maria Riva, Eugenio Derbez and Lupe Ontiveros. No word on why CBS would hire Cheech Marin, an alleged wife beater. LOS ANGELES, Oct. 31, 2011 -- /PRNewswire/ -- Celebrities, golfers and comedy lovers will come together at the Second Annual "Language in Play" Celebrity Golf Tournament and Comedy Concert to benefit The East L.A. Classic Theatre (ECT) on Thursday, November 10, at the Pacific Palms Resort in the City of Industry. The daylong event will benefit ECT's highly acclaimed language arts programs in Southern California schools and is set to begin at 9 a.m. with golf, followed by the comedy concert and dinner at 5:30 p.m., Tickets are available for the all-day activities or only for the comedy concert that includes dinner. The tourney will get underway with a red carpet VIP welcome, continue with golfing with the stars, and culminate with the comedy of Carlos Mencia and participation by celebrities and special guests from the worlds of entertainment, education, business and government. Celebrities confirmed to date include: Oscar de la Hoya, Edward James Olmos, Maria Conchita Alonso, Elizabeth Pena, Erik Estrada, Jenny Gago, Antonio Sabato, Jr., Esai Morales, Raymond Cruz, Yancey Arias, Emilio Rivera, Yvonne Delarosa, Valente Rodriguez, Joey Medina, Carrie Reichenbach, Paul Gonzalez, Cindy Vela, and Dennis Leoni. "Arts in education not only transforms the lives of young people, it transforms education itself. By teaching kinesthetically through the arts at the most vulnerable time in their lives, we are able to educate the whole child, exploring self-awareness, developing a capacity for imagination, and connecting children with their true talents," says Tony Plana, Executive Artistic Director of the organization. ECT is supported by the National Endowment for the Arts, Los Angeles County Arts Commission, Department of Cultural Affairs for the City of Los Angeles, Citigroup Foundation, Lynwood Unified School District, Bank of America, AT&T, White Memorial Medical Center, The Department of Education, and Center Theatre Group along with individual contributors. The Pacific Palms Resort is located at 1 Industry Hills Pkwy, City Of Industry, 91744. Golf packages being at $250, and the comedy concert and dinner tickets are $50. For more information, tickets, registration and sponsorships visit www.eastlaclassicgolf.com or contact ECT at (213) 572-0121 ext. 102. The East L. A. Classic Theatre (ECT) is a 501(c) 3 non-profit organization incorporated in 1995 by actor Tony Plana and other Latino artists. ECT integrates professional actors into English language development programs in an engaging, culturally relevant and comprehensive manner as part of the school curriculum and through after-school programs. As the only Latino based Theater Company that offers professionally performed Shakespeare adapted for youth in underserved communities of color, ECT has been able to provide interactive, curriculum-aligned, contemporary productions that compliment current educational mandates. In the greater metropolitan area of Los Angeles, San Bernardino, Orange, and Riverside counties, ECT has provided employment to more than 600 actors, has facilitated literacy development to more than 20,000 at-risk children, and has performed for over 250,000 students and families. For more information about ECT visit www.eastlaclassic.org or call (213) 572-0121. Pixar's John Lasseter received a star on the Hollywood Walk of Fame. 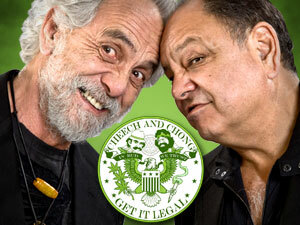 Cheech Marin was on-hand because he's the token hispanic voiceover guy for all Disney films. Lasseter is absolutely brilliant. He and Steve Jobs made Pixar a powerhouse animated film company. Creative geniuses. During the presentation, Lasseter paid tribute to Steve Jobs. He repeated Jobs' only request of Lasseter, which was to "make it great." "Without Steve, Pixar wouldn't exist. These films wouldn't exist. I honor him," he said. We here at this site miss Steve greatly.